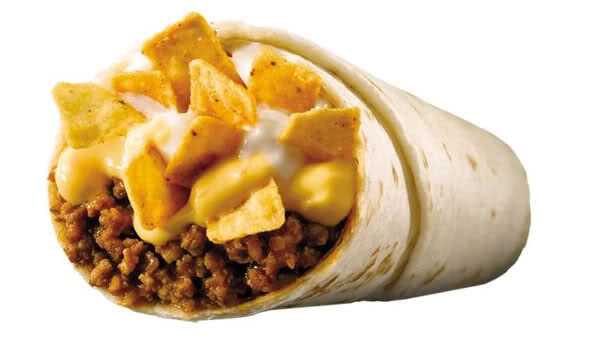 In a sign that 2012 might truly be the end of humankind as we know it, last week Taco Bell suspended production of the Beefy Nacho Burrito. Say it ain’t so, Taco Bell. Say it ain’t so. I live in Seattle. Finding fine Mexican cooking around here usually involves staking out the vacant lots downtown for the taco stands that appear around lunchtime. So, okay, I’ll admit, I’m not averse to making a run for the border, now and again. Unlike McDonalds, where you can expect the special sandwiches like the McRib to come back again, you know, during rib season, at Taco Bell you might fall in love with some sublime delicacy like the Beefy Nacho Burrto, only for it to disappear quietly, never to be tasted again. Taco Bell, my dark mistress. Why? Why?